Last year Gnome Stew ran a New Year, New Game challenge. I thought about taking part but other things kicked in and I missed the deadline. Fast forward and they’re doing it again. This time, I’m determined to take part. Of course, you’ve probably noticed the title of this post and also noticed that it doesn’t quite match up to the name of the challenge. That’s deliberate. You this, in the run-up to the end of 2012 I got chatting with the rest of the group and it transpired that we’re not really feeling it when it comes to the current crop of rules systems (although there are some notable exceptions). We also have a wealth of games on our shelves from years gone by – and fond memories of playing them – so I got to thinking. Maybe we should dust off some of these and give them another crack of the whip. Let’s see if our memories are accurate or whether we really need to take those rose-tinted spectacles off. 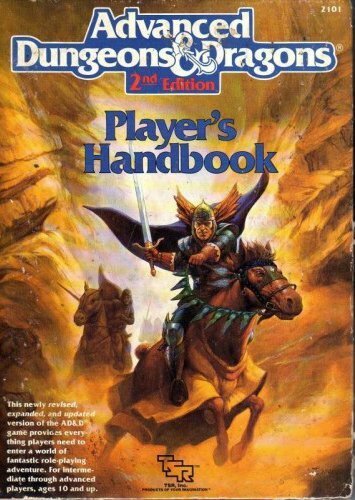 With that in mind, we seem to have narrowed down the choices to AD&D 2nd Edition, Star Wars 2nd Edition (Revised and Expanded) and Warhammer Fantasy Role Play (1st Edition). Of the three the one I’m most excited about is Warhammer. 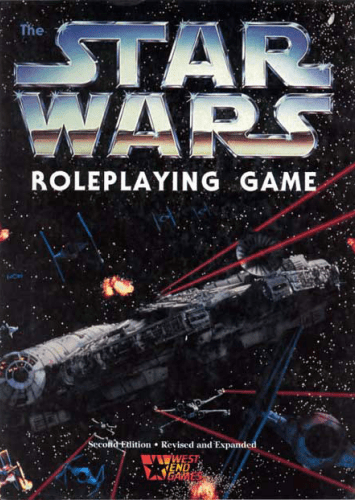 It was the game that defined my early roleplaying. Sure, we played other systems back then (after all, it wasn’t released until 1986) but none have stuck in my memory (well, aside from the games/sessions from Hell ;)). When you mention Warhammer to most people (of a certain age) they immediately associate it with The Enemy Within campaign. Funnily enough though, when we played we didn’t use it. Our GM had his own campaign which he ran for nearly 4 years on a twice-weekly basis (and sometimes more often – we were all young or unemployed with lots of time on our hands back then). As I later found out, he mixed in ideas and plots from a variety of sources but not The Enemy Within. 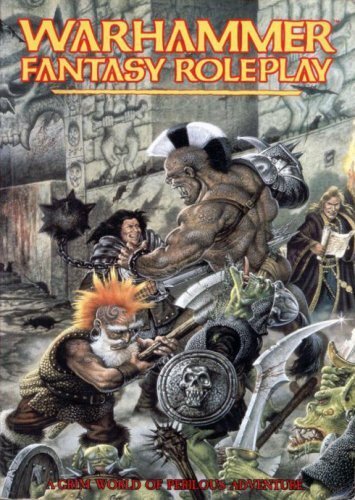 It was a great campaign though and, even now, more than 20 years after it ended, I could quite happily bore you to tears with the exploits of my characters; the self-centred dwarf Nurak Nurtha and the swashbuckling elf Luthar Silvanestri. That, however, isn’t the point of this post (you’ll be happy to know). Although I’ve not played The Enemy Within I have started GMing it (twice). The first time was in the mid-’90s. They made it all the way to Castle Wittgenstein before insanity took them. In early 2001 I tried again (with a different group) but they decided to ignore the plot hooks in front of them (which was fine by me) and headed off to Marienburg where they made friends with the wrong people and death took them. Now though, I feel the time is right to bring the campaign off the shelf and see if the adage third time lucky is true. I’m lucky in that the group I’m part of at the moment has two people who are new to roleplaying so haven’t come across the campaign before. Two have (and has played a little bit of it) but it was a number of years ago and I can trust them to keep player and character knowledge nicely separated. I’m very excited about being able to run this again, especially in an age where it’s so much easier to create (and re-create) the player handouts. You see, there are quite a lot in The Enemy Within but, over the years, I’ve managed to lose quite a few (it’s what comes of cutting them out and using them). On the plus side, they appear within the scenario at the appropriate points so I know what they should look like. Armed with this information, I’ll be slowly, but surely, remaking them using my graphics package of choice (Paint Shop Pro 7 for those who are interested). In a similar vein, I’ve lost the poster maps that came with each chapter of the campaign. In this age of the internet though that is no longer a problem as there are those, vastly more artistic than me, who have recreated (or just plain created their own) maps of different regions and cities within The Old World. Combine this with suitably sourced artwork that I can show the players on my tablet and using my netbook for campaign management and it’ll be an interesting mix of old and new I think. First though I’ll be at Conception next week (and, you never know, may be able to pick up some spare copies of things on the Bring & Buy stand there) and then I’ll start prepping. What about you? What do you think modern technology could help bring to a re-run of an old campaign? Cross-posted from UK Role Players. Next story Roleplaying – what’s in it for me? Previous story I’ve been interviewed!